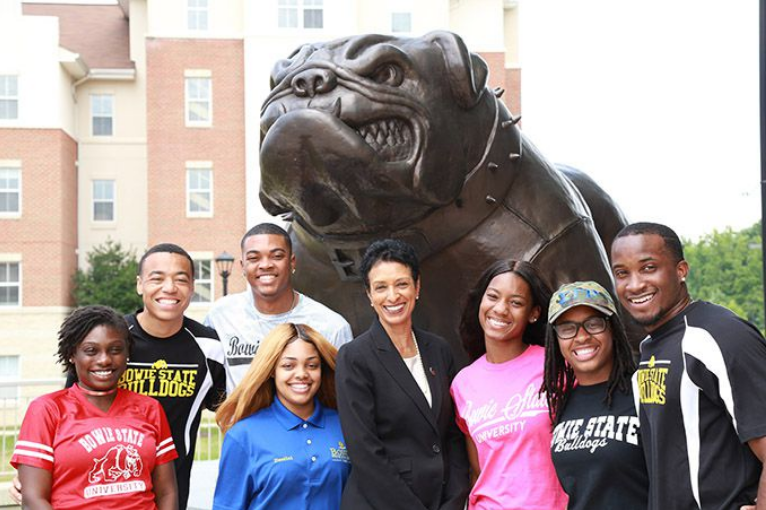 In her historic role as Bowie State University’s first female president, Dr. Aminta Hawkins Breaux said that she’s ready to lead the top 25 HBCU into the school’s next phase of growth and development. Following the celebrated legacy of Dr. Mickey L. Burnim, the former BSU president that served the institution for nearly 11 years, Breaux said that she is thrilled and honored to accept the leadership role. Though Breaux has only officially been in office since July 1, the former vice president for advancement at Millersville University in Pennsylvania has already started to outline new initiatives. Heavily involved with community building, Breaux noted that she wanted to enrich the neighborhoods surrounding the university while preparing students for the ever-changing workforce. Though the university is fully-equipped with state of the art facilities including a Fine and Performing Arts Center that opened in 2012 and an elaborate Center for Natural Sciences, Mathematics and Nursing that opened this year, Breaux said that this only just the beginning of a long-term focus on K-12 institutions and community colleges, as well.